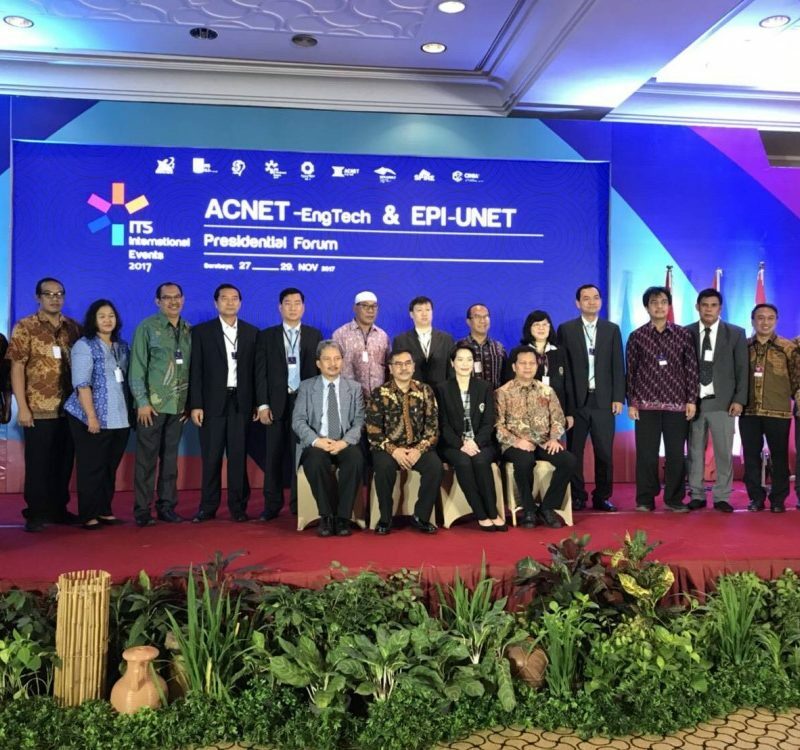 The 3rd ACNET-EngTech Prsidential Forum was hosted during 27-28 November 2017 by the Institut Teknologi Sepuluh Nopember (ITS) which is selected by the Indonesian government as an innovative university. 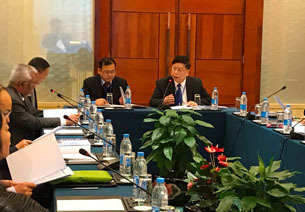 The meeting was joined by representatives from China ‘E-9’ universities including Tianjin, Beijing Institute of Technology, Chongqing, Dalian University of Technology, Harbin Institute of Technology, South China University of Technology, Tongji and Northwestern Polytechnic University. 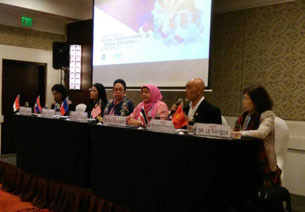 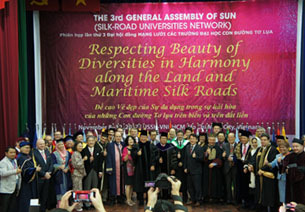 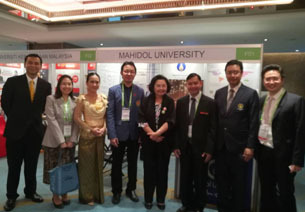 The ASEAN side comprised of Mahidol University, Institut Teknologi Sepuluh Nopember (ITS), University of Malaya, Svay Rieng University, Asian Institute of Cambodia, Savannakhet University and Mean Chey University. 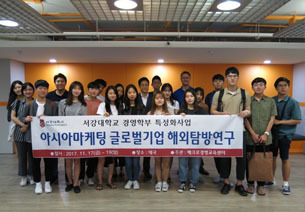 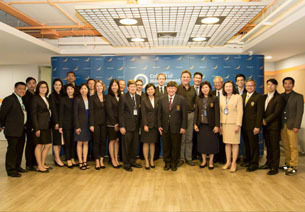 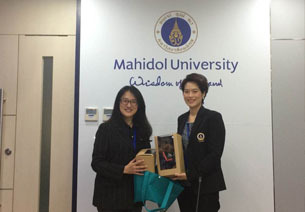 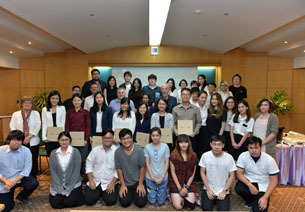 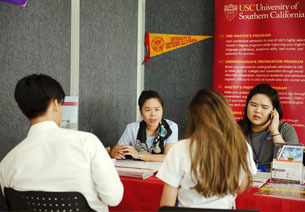 Representatives from Mahidol University were Assoc. 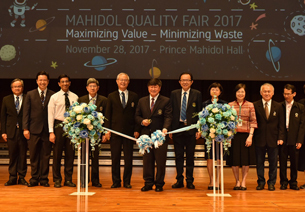 Prof. Dr. Nopraenue S. Dhirathiti, Acting Vice President for International Relations and Corporate Social Communication, Assoc. 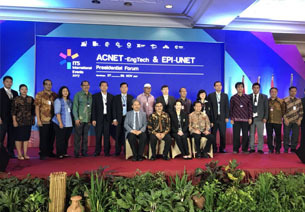 Prof. Dr. Jarernsri Mitrpanont, Dean Faculty of ICT and Asst. 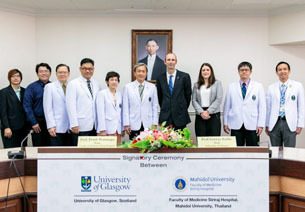 Prof. Dr. Boonsit Yimwadsana, Deputy Dean for Graduate Studies and International Affairs, Faculty of ICT. 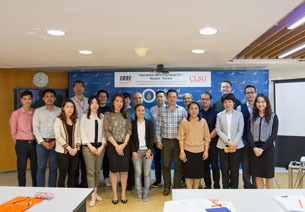 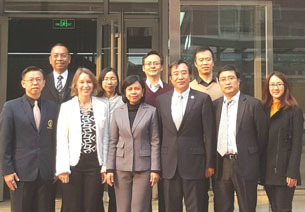 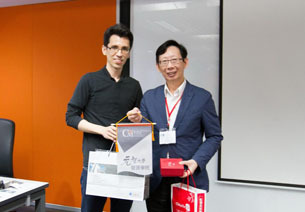 The Meeting agreed with three establishments of research collaborations centres on smart ocean (hosted by Tianjin University), civil engineering (hosted by Harbin Institute of Technology) and intelligent manufacturing (hosted by Northwestern Polytechnic University). 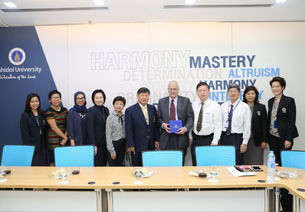 The Meeting further agreed on the use of these joint centres and the future set up of the Capacity Building Unit (CBU) at Mahidol University to be the a platform for knowledge transfer from the above research centres to members of ACNET-EngTech and others. 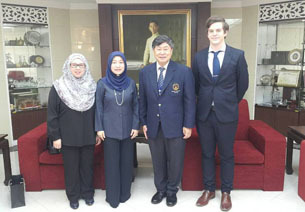 The Meeting also supported the appointment of the Faculty of ICT under Mahidol University to be the network secretariat on ASEAN side.